3 What can be Improved? 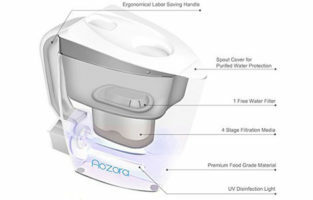 It never hurts when you implement proprietary technology in a product such as a water purifier jug. 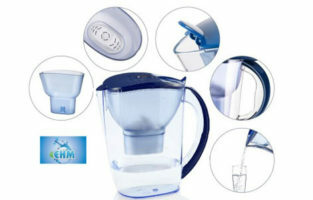 The EHM Ultra Premium Alkaline Water Pitcher will affect your water in more than one way. 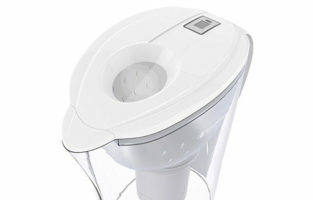 It will remove pretty much all contaminants from tap water but will also enrichen it with favorable particles. The point of the whole project of EHM is to produce mineralized water which gives you exceptional hydration. 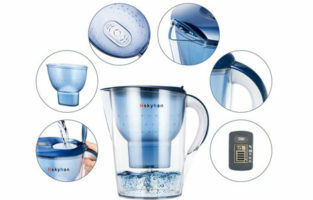 It reduces your thirst and the need to excessively drink water. 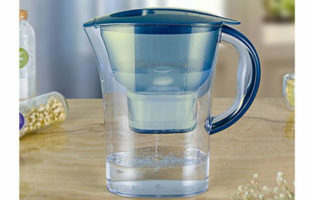 This is achieved by the specialized filtration system of the jug which raises the pH levels of regular tap water. How is this achieved you may ask? Well, the process of ionization means that some micro-clustering takes place. 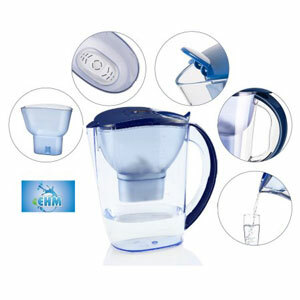 In other words, the EHM filter reduces the size of the molecules of your tap water making it easy to absorb. The outcome is that your thirst is quenched and your energy levels are increased. At the end of the day, your water will be an anti-oxidant with almost zero toxins. Heavy metals will be removed from water but some useful substances will also be added. The patented 6-stage filter cartridge adds magnesium, calcium, and potassium to your filtered water. 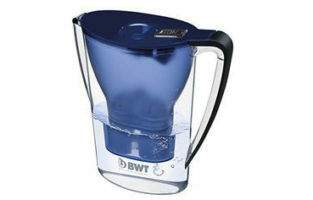 The capacity of the water filter pitcher stands at 3.5 liters which actually gives you 2 liters of filtered water. This equals a little bit more than a ½ gallon and is a very decent amount for any household. Even though the filter is said to **survive for about 300 liters** (80 gallons), it is also recommended to be changed every 50-60 days. This is quite the discrepancy because 80 gallons of water are rarely consumed within only a month and a half. Most people have no means of determining whether their water is no longer filtered and this causes difficulties regarding when to change the filter. The confusion is further deepened due to the lack of filter replacement indicator. 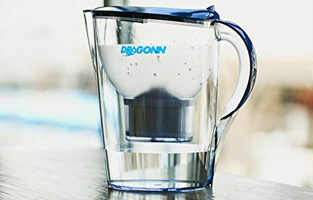 Our advice would be to simply change the filter every 2 months in case you down a jug every day. 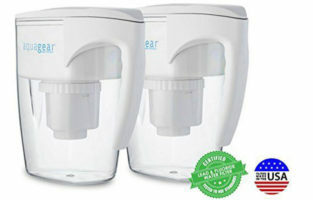 There is a good deal going especially with the EHM Ultra Premium Alkaline Water Pitcher where you can order 3 filters at the same time and get a significant discount. This will cover you for half a year. 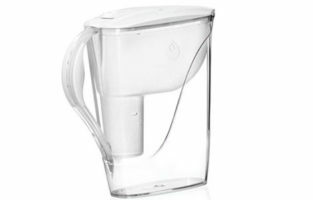 The following things are not deal breakers but a water filter pitcher with this price should perhaps have them all sorted before the product reaches the user. We already mentioned that the volume of the jug is very decent but unfortunately this renders is pretty hard to fit in a fridge. It is rather bulky and the door of the fridge isn’t an option. 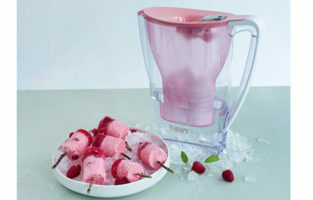 You might have to find other ways to keep your filtered water cool. 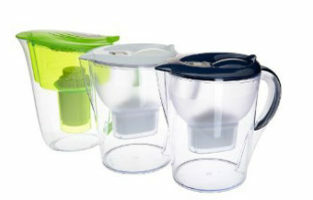 The most obvious drawback of the EHM Ultra Premium Alkaline Water Pitcher is the lid and its stability. This part falls off rather easily and you risk making a mess every time you tilt the jug too much. When you replace the filter or when you detach the lid, it is not easy to have it snug back properly. 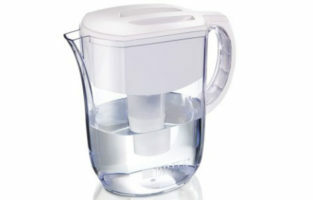 If the flimsiness of the jug doesn’t bother you, then you should be all set. Finally, we will mention something about the functionality of the cartridge. 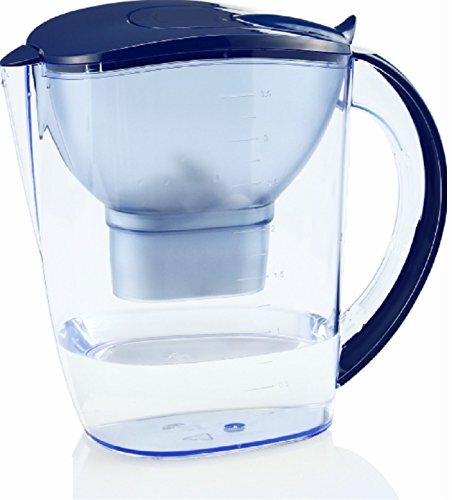 Many times the last half a cup of water will just stay there in the top reservoir and won’t pass through the filter. Your only chance to deal with this is to pour the water back out and refill the jug. Not a big deal but it is still somewhat inconvenient. 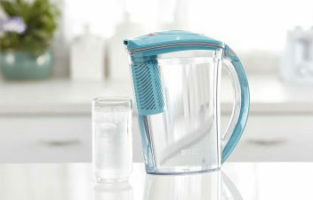 Technological edge – the filtration system is where the jug shines. 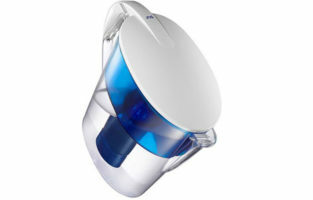 It cleanses and mineralizes your water while you are having a better tasting water. 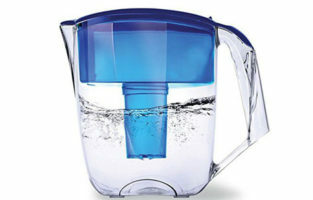 The cartridge gets clogged – some water might constantly remain in the top compartment of the jug.